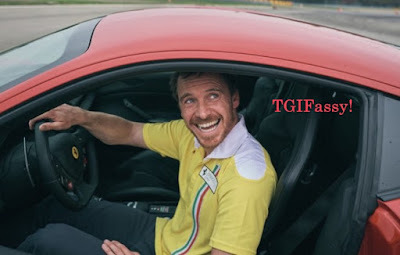 I think whenever Michael Fassbender is near a car that can drive really really fast, he's really, really happy! I wish from here on out, he has access to a really fast car every day so he can be this happy. I love this picture of Michael in this car because it simply reminds me why I adore him so much! 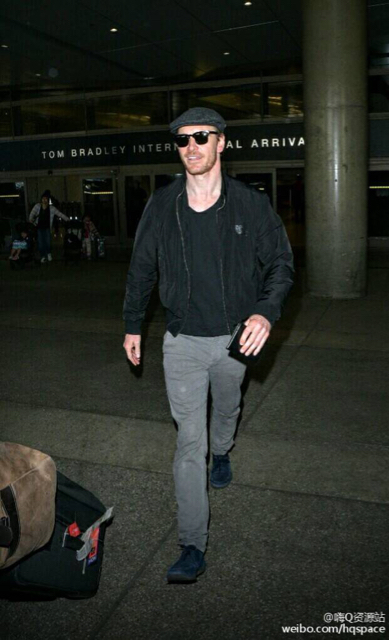 This is definitely a great picture to end a good week for Fassbender news. Although I only watched a small portion of the World Series Wednesday night, I did learn that Assassin's Creed had an advertising during the ratings record breaking sport event. So that was brilliant timing, especially considering that the movie is just 6-7 weeks away from opening on December 21st. And because I'm now living here in LA, I'm wondering if there will be a premiere of AC here in Los Angeles. I'm flying back home to Michigan for Christmas on the 22nd, so I want to watch the movie in LA before I take off for the holidays. Michael is visiting LA, my city!